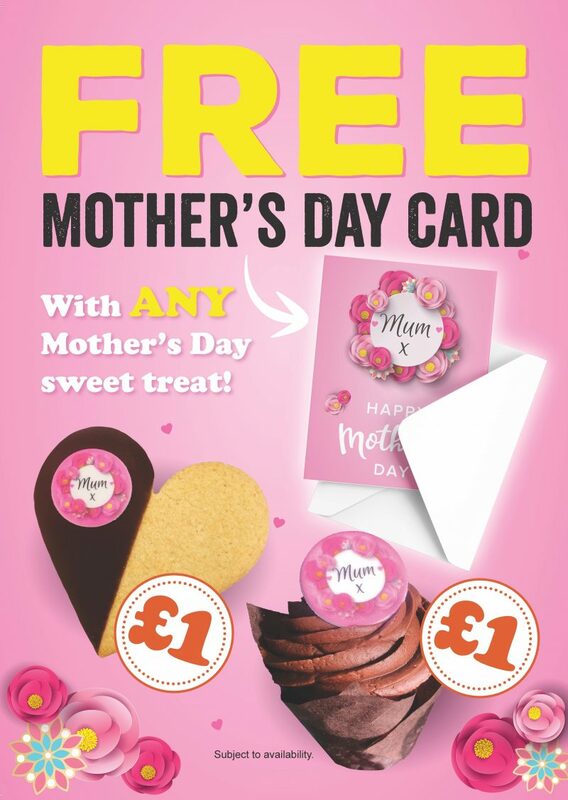 Finding the perfect Mother’s Day gift can be tricky enough, which is why Poundbakery have decided to make things as easy as possible for customers by giving away a FREE Mother’s Day greetings card with EVERY Mother’s Day product. There are three products to choose from; a delicious Shortbread & Chocolate Heart, or an indulgently chocolatey buttercream muffin, both of which are £1 each and are available in stores from Friday 29th March. In selected stores customers can now purchase the ultimate Mother’s Day treat – a 9” buttercream and jam filled sponge cake, with a beautiful “With Love” plaque. And the best part? It’s just £10! But be warned, this is a limited offer and they will sell out quickly! Marketing Manager, Keely Palin, said: “The free greetings card is ideal for kids to purchase for their mum. For just £1, a child can spend a little of their pocket money and surprise their mum with a sweet treat and a card.